Takashimizu history began in 1944 after merging of 12 small breweries during World War II. In this column, we will trace the history of 12 breweries which are the foundation of current Takashimizu one by one. We will introduce “Suehiro” this time as the sixth breweries out of 12, and this is just the half of total. Toyoji Hiroshima started the sake business in 1900 at current Kyokunan 2cho-me, Akita city under the brand name “Suehiro”. The word “Suehiro” expresses the situation that something becomes wider toward the end, and also grows more and more prosperous. Therefore, for the future of the brewery, he might put such a desire into this brand name. The founder Toyoji designed the brewery by himself, worked together with other brewers, and managed everything related sake making. The superior and fragrant quality sake was said to win the prizes at lots of competitions and exhibitions. However, Toyoji was never satisfied with the existing state, and he attended the lecture on the brewing skill and learned new skill from the specialists for further development. After the movement to current Narayama Kyowa-machi, Akita city, he focused on increasing the amount of production. During Toyoji’s son, Masashi‘s period, brewery gained the firm market share at entire Akita city and steadily developed until current Takashimizu was established. 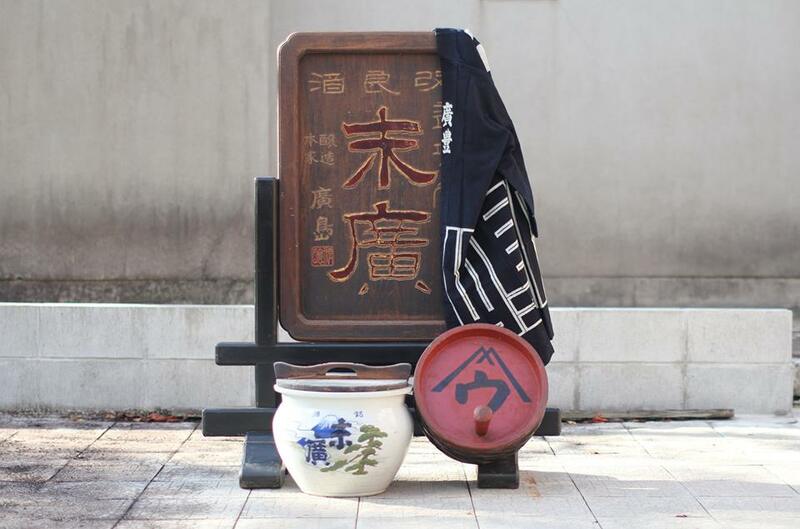 The picture above is that the signboard and sake pot with their brand name “Suehiro”, Toyoji’s livery coat, and the vermilion-lacquered sake cask. Everything was preserved as they originally were. We can feel the lively atmosphere of the brewery at that time, can’t we?